Pharmacies across the country will likely run out of EpiPens “in the coming days or weeks,” Health Canada is warning. New supplies are not expected until the end of August. 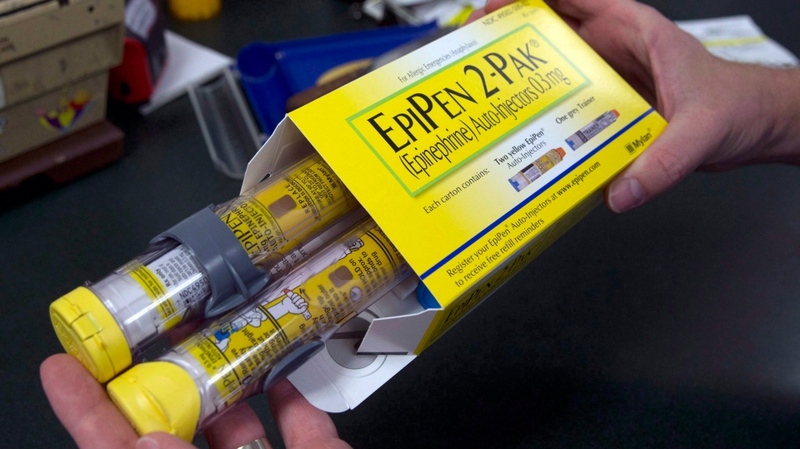 The shortage, which is being blamed by Pfizer Canada on a manufacturing issue, affects adult-dose 0.3 mg auto-injectors, which are used to dispense an emergency shot of epinephrine to people who are at risk of suffering anaphylaxis, a life-threatening allergic reaction that can be triggered by things such as peanuts and insect stings. “The company has also advised that, at this time, they continue to be able to supply EpiPen Jr (0.15 mg); however, the supply is limited and is being carefully managed at the national level,” Health Canada added in a statement. EpiPen Jr is the child-dose version of the hand-held product. Canada has been experiencing an EpiPen shortage since at least January. But for those who suffer from and advocate for people with severe allergies, it’s hard not to panic. 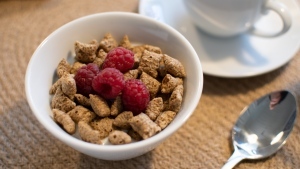 “It’s moving from inconvenience to concern,” Jennifer Gerdts, executive director of education and advocacy group Food Allergy Canada, said of the ongoing shortages in an interview with CTV News. “We’ve heard from a few people just this week (about) going to multiple pharmacies and not being able to access the product,” she said. Pauline Osena, who owns allergy-friendly restaurant Hype Food Co. in Toronto, has two young sons who carry EpiPens because of multiple severe food allergies. Osena, who credits her sons as the inspiration behind her restaurant, even keeps a pair of EpiPens onsite in case of emergencies. The timing of the shortage couldn’t be worse, says Phil Emberley, director of practice advancement and research at the Canadian Pharmacists Association. Emberley notes that most allergy sufferers over the age of 10 require the adult version of the product. Twenty per cent of Canadians, he adds, need more than one dose when experiencing a severe allergic episode. Outside of Pfizer’s EpiPen, there are currently no other epinephrine auto-injectors available in Canada, though four other companies -- Kaleo Pharma, Taro Pharmaceuticals, Valeant Canada and Lincoln Medical -- have all received authorization from Health Canada to sell similar products in the country. The company behind the EpiPen has also previously come under fire for raising the price of the life-saving devices in the U.S. by more than 500 per cent between 2007 and 2016. Health Canada is urging allergy sufferers not to stockpile the devices until the shortage is resolved. Health Canada is also reminding EpiPen users that the devices expire on the last day of the month indicated on their packaging. “In light of the shortage, if you are experiencing an anaphylactic reaction and have only an expired auto-injector, use the expired product and immediately contact 911,” Health Canada advised in its statement.